As silly season approaches (the summer transfer window), some of our favourite news outlets have taken it upon themselves to give us a sneak preview of what is in store. Just two days ago we were linked with Mario Goetze for the first time and already the Germany midfielder's club Borussia Dortmund have warned us off him, telling us the 18-year-old is not for sale, according to the Daily Mail. Then there is someone who seems like an old friend already, Jan Vertonghen. The Ajax defender has been linked with a move to the red half of north London ever since his former central defensive partner Thomas Vermaelen joined us. And he's making all the right noises that this summer will be the time he'll move from Holland. So that's a midfielder and defender sorted out. How about a striker? No problem at all. What about Lorient's Kevin Gameiro? According to the Daily Mail we're interested along with a few other Premier League clubs. But from what he said in France at the weekend, he'd rather move to Spain. So already today if we've brought all three players I think our £40m transfer kitty has already been spent. 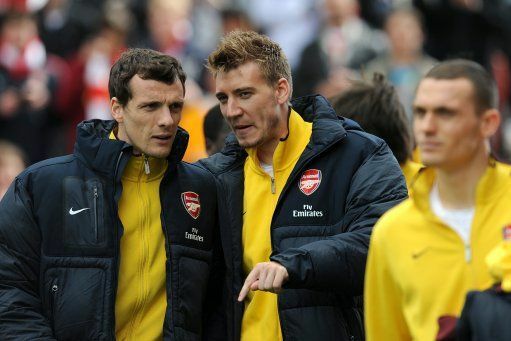 One player who is currently under contract with Arsenal and might not be next season is Nicklas Bendtner. He's been talking about his future. Unsurprisingly he's not been happy with the three Premier League starts he's managed to achieve this term. Nor is he happy with playing on the right wing. Arsene Wenger has already said he's sit down and thrash out Bendtner's future with him at the end of the season. The player hasn't been happy with his opportunities this season and Wenger has said he's not been given the chance to impress. I wonder if we'd been more flexible in our formation he would have got more chances to impress? Matt Scott in The Guardian has asked why Stan Kroenke hasn't given guarantees over the cash in the club's current account and paying shareholders dividends in his offer document. Some serious questions that really need to be answered. The Arsenal Supporters Trust held a meeting last night to encourage all shareholders not to sell to Stan Kroenke and if you read Matt Scott's article, you'd be right not to sell as your share is worth more than the £11,750 Kroenke is offering. And whilst we're talking money, Arsenal have made £5m more from TV appearances this season than last. It's a shame the board couldn't have factored this money in when they put up season ticket prices.